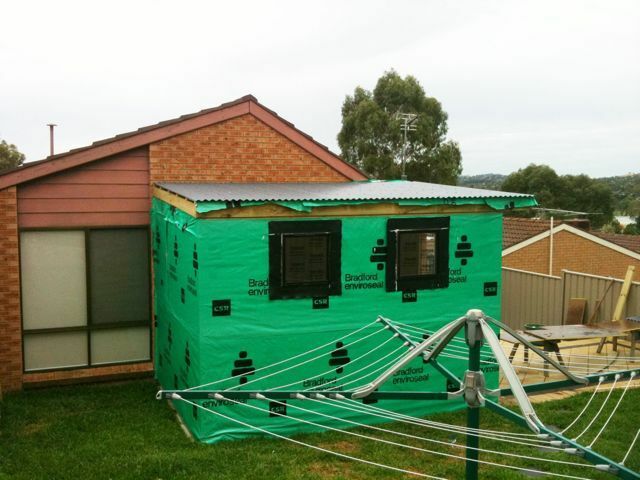 Well the Colourbond sheeting for the roof arrived today. 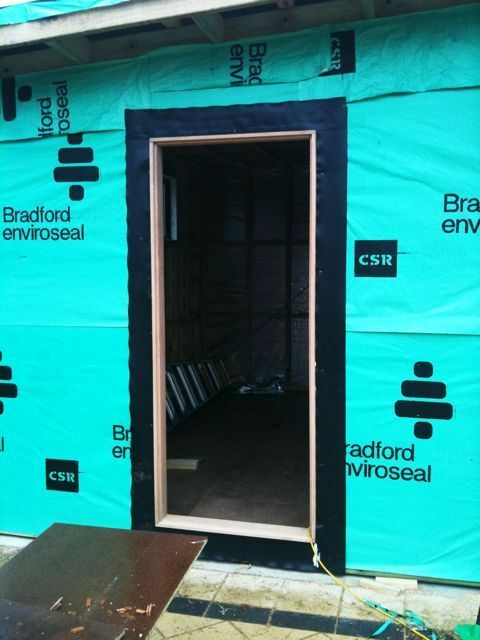 The roof sheeting is now all done, and the windows and door frame are in. Dad should be around on the weekend to start getting the electrical wiring ready. Again, the pictures are below. 5 Responses to "Building a backyard studio – day 4"
I’d love to build my son a small studio in our garden for him to practice his guitar. That way he gets practice and we get peace and quiet. How hard is it to constuct and what sort of cost is involved. Hey, ummm I don’t know if the costs for me in Australia are comparable to the UK, but it’s in the thousands. My brother is building it, so I’m not sure of all the details on building it. I thought it may be thousands as i assume it has to be sound proofed and all that. Hope you show some pictures when its finished. 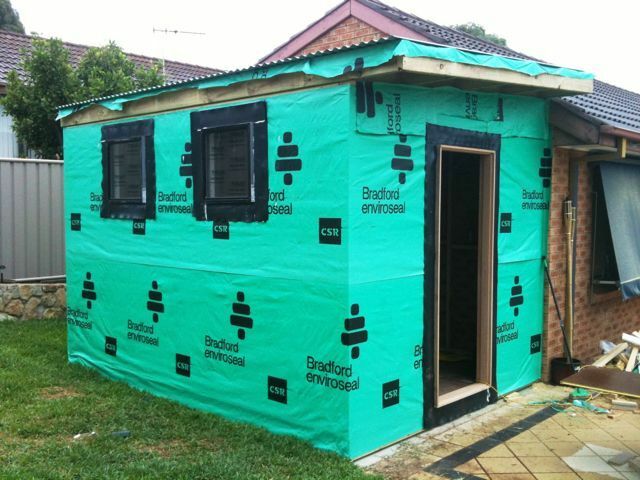 I’m using sound absorbing insulation, and special sound proofing plasterboard/gyprock. Hopefully I won’t need any other sound proofing after that. It’s a nice idea to foster your creativity.